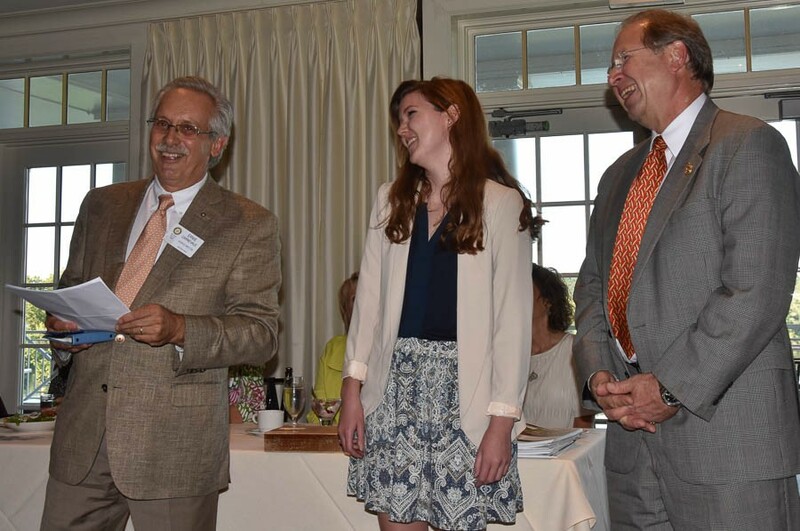 The club experienced an extra special evening as Rotarian Ernie Carnevale inducted new members Rachel Veal and John Whisler, prior to Nicole Hamilton's inspiring presentation on the Loudoun Wildlife Conservancy. Ernie reviewed some of the rich history of the club that was established in 1927, the expectations of being a Rotarian, and a few of the many service accomplishments and opportunities that membership offers. Rachel, John and their families were warmly welcomed. Rachel graduated from James Madison University, where she was an international affairs major and a computer science minor. She works at Northrop Grumman as a cyber-security administrator. 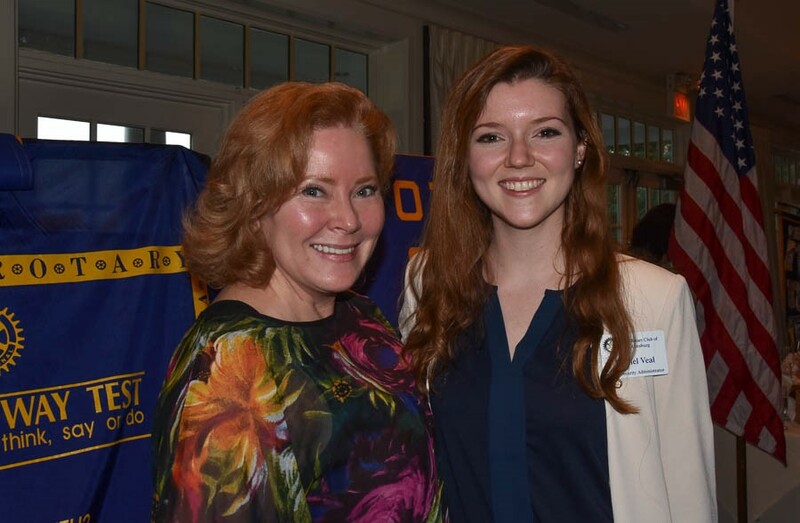 She volunteered at the Club's Law Camp picnic and is excited about giving back to the community. Her sponsor is Valerie Beaudoin. John serves as a Program Director for Parsons, a large engineering and program management firm. John and Marylou moved from Omaha, NE to Ashburn in 2012. 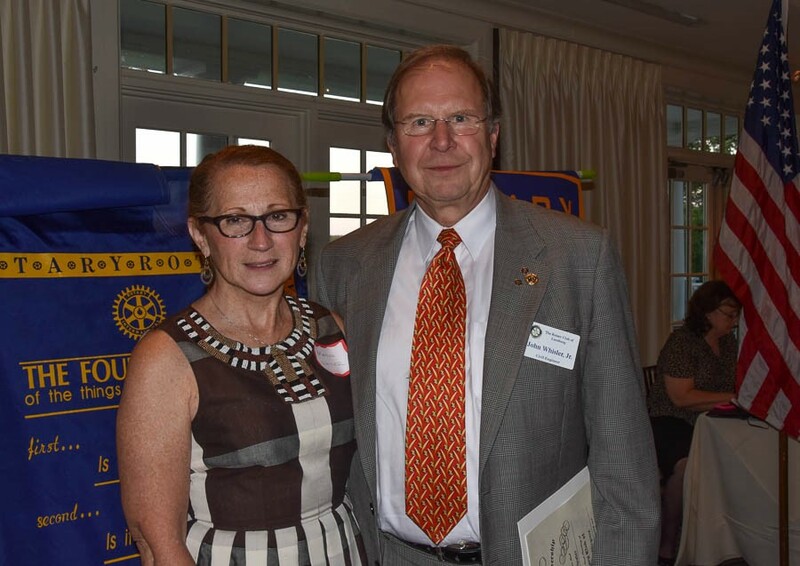 John was a member of Suburban Rotary in Omaha for 16 years, serving as Fundraising Chair, Board Member and Committee Member of numerous Committees. He is a Paul Harris Fellow, and transferred from the Fairfax Rotary. His sponsor is Janice Fristad.